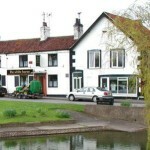 A superbly located and family run country pub since 1986, located in the heart of East Yorkshire. Cross Keys in Nafferton has a beer garden. The pub has an outside area.